Rejuvenate your body. Restore your spirit. Relax your mind. Focuses on the application of pressure to joints and muscles. 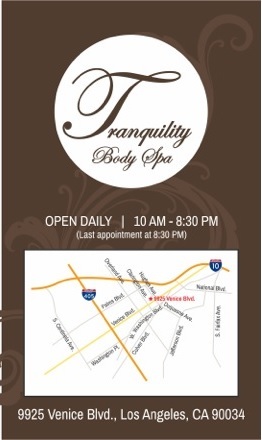 Welcome to Tranquility Body Spa! Copyright © Tranquility Body Spa. All Rights Reserved.